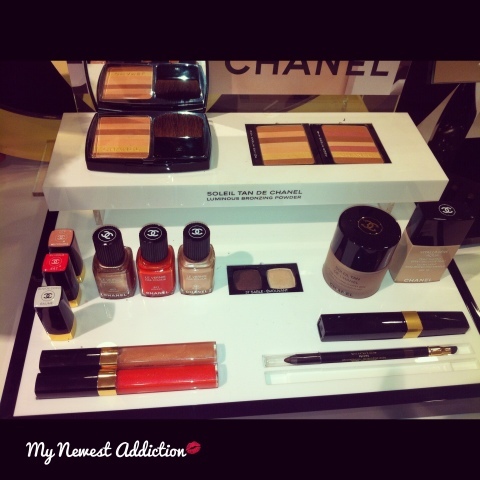 I was strolling through the mall on my lunch break days ago (more like escaping reality intentionally to buy a pick me up) and I made a visit to the Chanel counter to check out the Limited Edition goodies. Truth be told I was really at the mall to pick up the Geurlain Pucci balls, but the store hadn’t gotten them in yet. Anyway, the only thing that I had interest in checking out were the bronzers but after seeing them I had no interest. 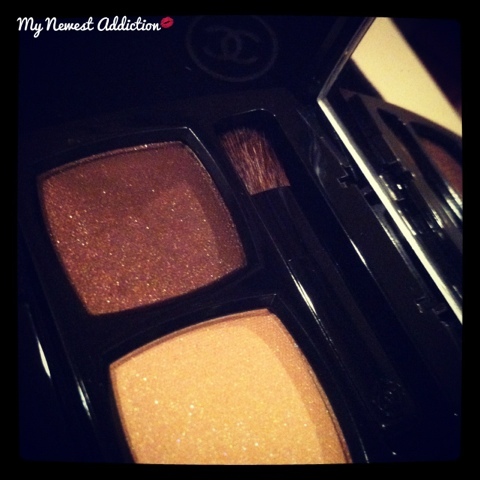 The eyeshadow duo (37 Sable-Emouvant) seems completely boring but the pigmentation is completely out of this world. I felt the need to get them. Couldn’t leave them behind. 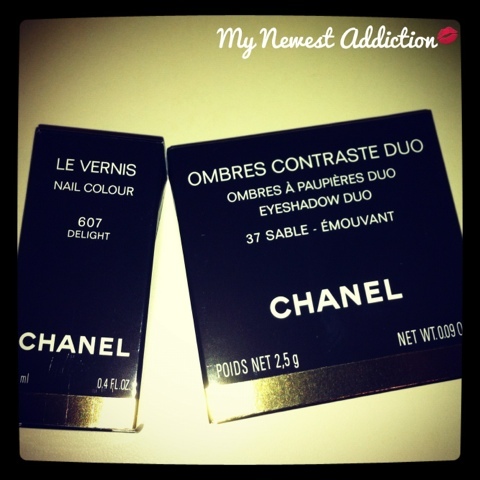 I also picked up my very first Chanel nail polish. I got the one called Delight. I adore it. It is really shiny and pretty and called me very seductively. Anyway, what was it that interests you most out of the Chanel Summer 2012 collection??? Let me know in the comments below!